One of the most exiting new developments in town, but definitely the most interesting condos for sale in the Coco Beach area of Playa del Carmen. This is the New 5th Avenue ! Condos are negotiable in price and will increase very sure in value over the next years. Underground parking Garage door with electronic system Main entrance with security video screen intercom and electronic door switch to open the door from each condominiums Reception Elevator with capacity of eight (8) persons from parking to “Roof Garden” Gymnasium on the roof Each Condominium Includes: Floors in “Porcelanato” A/C Fans in all rooms “LED” lights Spanish aluminum work “Eurovent” brand, model 10000, with 13.5 mm anti hurricanes glass color “Tintex” Aluminum bathroom doors with 6 mm tempered glass Bathroom accessories includes faucets and shower “Helvex” brand Closets, bathrooms and kitchen cabinets made of cedar, mahogany and oak wood Kitchen and bathroom counters made of granites Kitchens equipped with refrigerator, dishwasher, stoves, ovens and extractors Laundry room equipped with washer and dryer “Roof Garden” Description Pool with 25 meters swimming canal Two jacuzzi’s areas Dining area with grill Sunbathing areas with benches & lounge chairs Gymnasium Photos are taken from the model unit, units will be delivered unfurnished, but developer can sell furniture packages extra in different price level. For properties in this area, please visit our website and find us on Point 2, Facebook and Youtube. Will you settle for nothing less than the very best? Are you looking for the most exclusive and luxurious residence in all of Playa del Carmen? This stunning California-style contemporary 4 bedroom/3.5 bath home in the exclusive gated community of Club Real is exactly what you have been hoping for. The main living area is sleek and stylish and every surface is finished with top of the line materials. The main entrance to the home boasts dramatic custom-made stainless steel doors. Inside, gourmands will appreciate the custom designed Quetzal island kitchen with Silestone countertops, Subzero and Electrolux stove, dishwasher, microwave and convection oven. The kitchen and baths are fitted with Koehler and Hansgrohe fixtures. The residence has zoned A/C, 9mm laminate glass and 70cm Italian tile floors throughout. The owners have fitted the home with high quality Hunter Douglas electric blinds, fully pre-wired audio/flat screens, satellite and security system and a full LifeFitness gym. The 2nd floor Master suite has an enormous custom-designed walk-in closet, master bath with spa and panoramic dual rain showers and a large terrace overlooking the jungle. Nearly 6000 square feet of construction incorporates a separate private entrance apartment, laundry room and a 2-car garage. The professionally landscaped back yard has a private pool, Jacuzzi, waterfall, Royal Botania outdoor furniture and extensive tropical gardens. The gated community has 2 community pools, tennis courts and lovely tranquil walking paths through the jungle. The beach and all the excitement of Playa del Carmen are just a short drive away. This remarkable home is offered for sale completely turnkey with all furnishing by Actual Design. This is a unique home, one that will please those with the most discerning of tastes. Please contact us to arrange for a private showing. 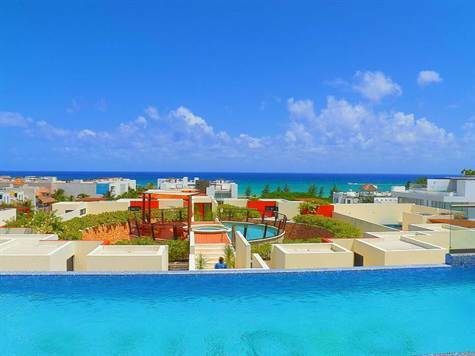 Always Dreamed of Living in A Penthouse in ‘Little Italy’ in Playa del Carmen? 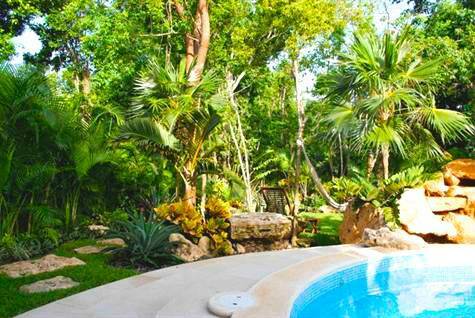 I’ve got great news for lovers of Playa del Carmen real estate deals! We have 2 amazing properties for sale in one of the most popular areas of Playa del Carmen, and the fact that the owners have reduced their prices! Both properties are located in the ‘Little Italy’ area. The first one is located in Aqua Terra which is a very nice development, where we sold 3 units since last year. The owner will reduce the price from tomorrow on from 245k down to 220k! This 2 bedroom Penthouse condo has everything you need. Just a few minutes walking distance to the beach, 5th Avenue and all the grocery shopping and delis. You can spend time outdoor on the spacious balcony or the private rooftop terrace with jacuzzi and feel a nice breeze from the Ocean as you are only a few hundred meters away from it. Please click on the photo above to see more pics of the 1st property, or just click here. The second property is a 2 bedroom penthouse next door in Pelicanos, and reduced to $180,000 US! Although it comes to you unfurnished, if you consider the fact that the prices keep climbing, this is really an opportunity! 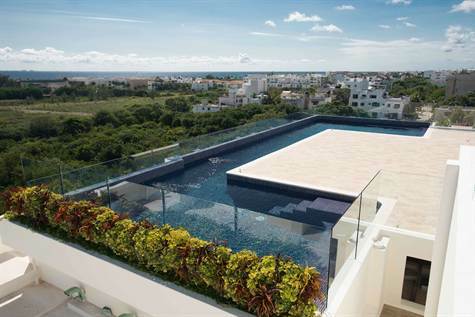 The above Playa del Carmen penthouse is very well designed and located in a modern complex of 18 condos right in town. This condo is located just a 4-5 min. walk to Mamitas Beach and 5th Avenue. This resale is a amazing penthouse, which has its own private rooftop terrace with Jacuzzi. Contact me for more info. The price is very competitive as other ground and first floor units in the neighborhood are listed at the same price. It is listed without furniture, but this is negotiable. Click on the photo above to see more pictures or just click here. Contact me fast, high season is on top of us and there are showings every day!! For more properties in this area, please visit our website and find us on Point 2, Facebook and Youtube. When coming down to look for property in Playa del Carmen in 2014, you have to take the time to come out and see one of our best ocean view condos, in a brand new development. Studio ONE is a new development in the ‘new 5th’ avenue of Playa del Carmen. Competitive prices range from between 260k-450k. This is a MUST SEE! This particular unit is priced at $343,000 USD, with 2 bedrooms and 2 bathrooms and 1,250 square feet of living space. This location is ideal and, just a quick walk to the beach. It’s one of the best areas right now to to build equity in the future! Studio ONE condos for sale in Playa del Carmen is a project that was built by one of Playa del Carmen’s best developing companies. It boast spacious units with high quality construction and finishing. Ask about cash discounts! Click here to go directly to the listing for more photos and info. Amazing 2 bedroom Mamitas Penthouse for Sale!!! Amazing 2 bedroom Playa del Carmen Investment Property!!! 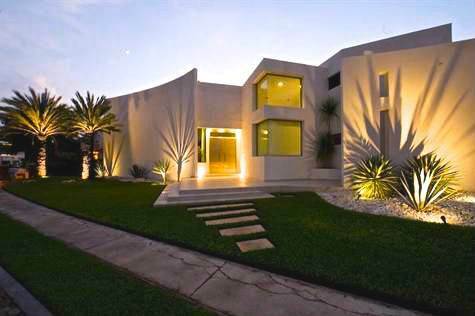 Now you can live in one of the most popular areas and prime Playa del Carmen real estate opportunities. Mamitas Beach is located 26th street and the beach and this 2 br / 2 bathroom Penthouse is just the place to set down your roots. If you wish one of the bedrooms can be locked off and you can make 2 rental incomes at the same time as this is a prime vacation area, you can practically guarantee you will have your rooms rented out during prime vacation months. Otherwise live (or vacation yourself) in one lock off and rent out the other to pay off your investment. The first level has a kitchen and and living room and stairs going up to the second level. You’ll LOVE the private rooftop which has two levels, ocean views and an amazing Jacuzzi. The unit comes completely furnished and boasts many features. Click here to see more photos and to go directly to the listing. 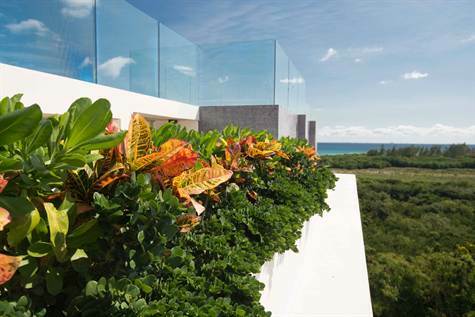 Ocean View Properties for Sale in Mexico – If you always dreamed about enjoying white sandy beaches and Caribbean Waters from your own balcony, here you can find Real Estate for Sale in Playa del Carmen at affordable prices. Casa del Mar is a luxurious development in the Coco Beach area. Build as close as it can get to the Sea, you find exclusive finishing and design and probably one of the best views a person can ask for. The single units are very spacious and the materials used in the interior are highest standards ( kitchen, marble floors, accessories). There are only a few condos for sale left and you should contact us quickly to purchase penthouses around 500k and 2nd floor units at around 420k asking price. Weekly rated for vacation rentals promise good returns and to see one of the properties online, just click on the picture of visit our Homes for Sale Playa del Carmen Website and visit the Ocean View section on Point 2. You will find very useful info on your Facebook and Youtube site and for any question, just contact us directly. Once you own Real Estate in Playa del Carmen, you will find out, that in close approximity to this beautiful Caribbean Town, there are other smaller destinations worth a trip. One of them is just a quick drive south of Playa del Carmen and without a doubt one of the most attractive tourist destinations in Mexico. Akumal is a small community between Playa del Carmen and Tulum. Akumal is know for some of the best snorkeling in the world and home of the famous sea turtles. for more info about this amazing animals, just click on the picture and enjoy the link. For more info about Real Estate and Condos for Sale visit Homes for Sale Playa del Carmen website and find us as well on Point 2, Youtube and Facebook.